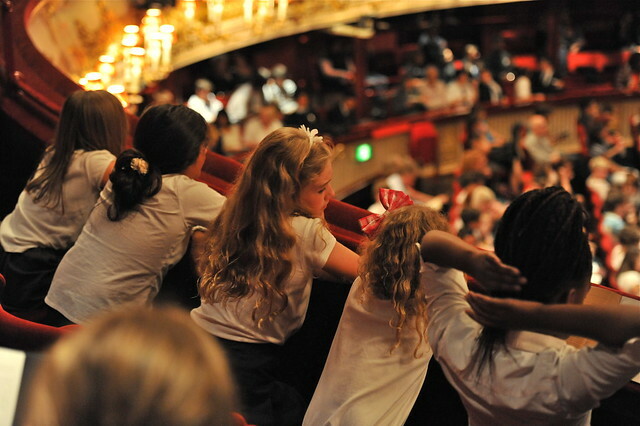 Before bringing your school to the Royal Opera House, we recommend taking some time to explore our work, including what we do and some background to the production you will be seeing. We've created the following resources which we hope you will enjoy. Learn how a set for Les Troyens is moved from our production workshop in Thurrock to the stage of the Royal Opera House. You can join one of our public tours in Thurrock to see how our sets are made and discover more about the scenic painters, carpenters and metalworkers who make our productions happen. Watch prop maker Steve Jolley create the severed head of St John the Baptist from David McVicar's Royal Opera production of Salome, based on Oscar Wilde's play. This film shows the different stages of creation and the many hours of work that goes into creating such an exciting, gruesome prop. Find out more about the team in charge of making and maintaining on stage weaponry for both The Royal Opera and The Royal Ballet, as well as ensuring all artists are fully trained in its safe use. In this film the team are working on The Royal Opera's production of Guillaume Tell. What makes the Royal Opera House so special? We asked some of our favourite Opera singers and musicians to tell us why they think the Royal Opera House is so special. They talk about the passion for the work of all the Royal Opera House team and the skill and professionalism of all our craftsmen as well as the incredible legacy of the House. What is life like as a Royal Ballet Dancer? Yuhui Choe, a First Soloist at the Royal Ballet allowed us a peek into life behind the scenes as a Royal Ballet dancer. We watch Yuhui in morning class, Ondine and The Nutcracker rehearsals and having physiotherapy before a performance.